If you're looking for privacy, a country atmosphere within minutes of town, and a move in ready home, then here it is! 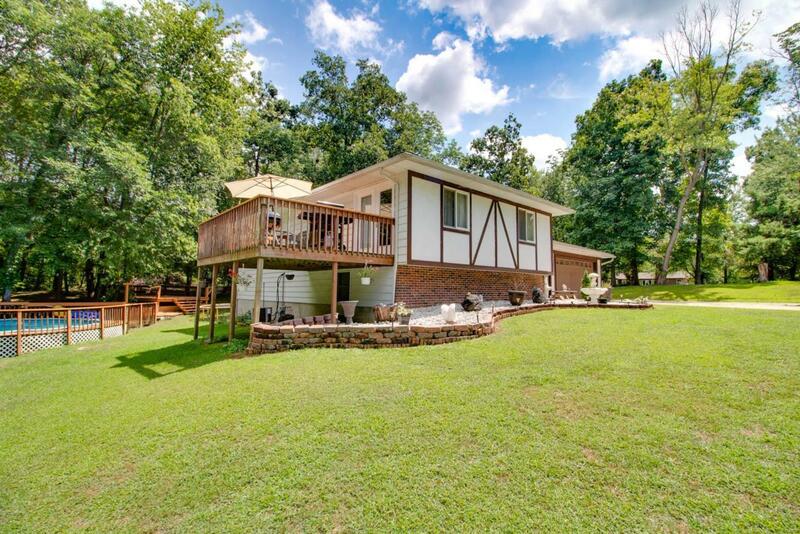 This wonderful 3 bed/2 bath home sits on just over 3/4 acre lot and offers 3 decks, a sparkling above ground pool, gently rolling wooded lot all situated on the outskirts of town, on a dead end road with very little traffic. Some of the many updates in the last few years include newer roof, HVAC, 80 gal. hot water heater, stainless appliances, elec fireplace, some flooring, and more! Whether you enjoy entertaining friends and family, or just love hanging out in your own private, park-like setting, this one has it all! The lower level provides a place to entertain, relax, exercise, or play. And storage space is abundant! School bus stops at the driveway. Call today to schedule your showing!